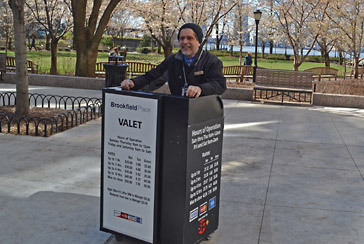 Brookfield Place now offers Curbside Valet Parking. Whether you are going to a business meeting at Brookfield Place or just visiting the Winter Garden, Hudson Eats or one of the other world-class amenities, our Valet Parking is a convenient and reliable choice for Lower Manhattan. 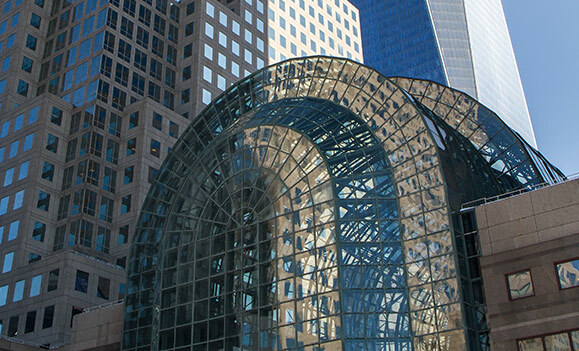 The curbside valet drop-off area is conveniently located outside of the Brookfield Place building entrance at 225 Liberty St providing unmatched access to numerous area attractions including the 911 Memorial, One World Trade Center, One World Observatory, Statue of Liberty, Fraunces Tavern and Skyscraper Museum.